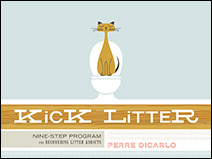 DiG LiTTER: Ask A Ninja! Moxie sent me a link to Ask A Ninja today. Funny human in a ski mask explaining about Kninjas - evil K-9 dog ninjas who can walk through walls and date humans! I don't understand it all.